When making a decision on which ski resort to visit, many of us tend to have strict requirements that a potential destination needs to meet. Are the slopes appropriate for my level of ability? What is the snow like? How good is the apres ski? The fact that many settlements have been in existence for hundreds, or even thousands of years can get lost in the hustle and bustle of restaurants, shops and ski schools. At Ultimate Luxury Chalets, we believe that the heritage and culture of a ski resort is a very important factor. After all, it makes one place unique from another! Long before the chairlifts, package ski holidays and piste maps; even before travelling on snow with wooden planks on your feet was classed as enjoyment, many alpine resorts as we know them today were home to small mountain communities. They often lived a simple existence through farming and living off the land. There is so much out there to discover off the slopes. Here are a selection of our favourite cultural ski resorts, that will ensure you get the most out of your ski holiday. 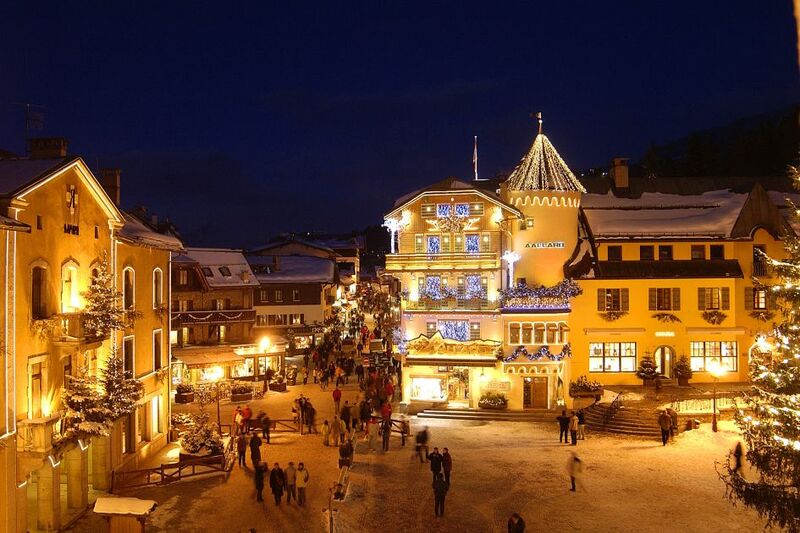 With medieval buildings, chocolate box houses and narrow streets, it is very easy to see the appeal of Megeve. 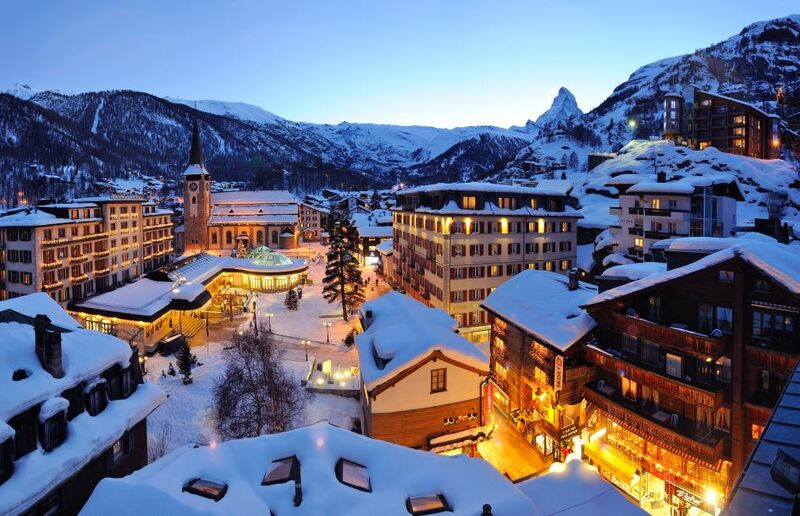 This ancient farming village began its development into a ski resort in 1916, which was led by Baroness de Rothschild, to rival the glitzy St. Moritz in Switzerland. The bold move was successful, meanwhile it managed to retain the charm and character of a cultural ski resort that people love. Explore the medieval centre, where you will find a 12th century priory, alongside a 13th century church. Other notable landmarks include two town halls and a main square. Walk the Calvary Trail on the lower slopes of Mont d’Arbois, which passes 15 chapels that were built between 1840 and 1878. Expect spectacular views! 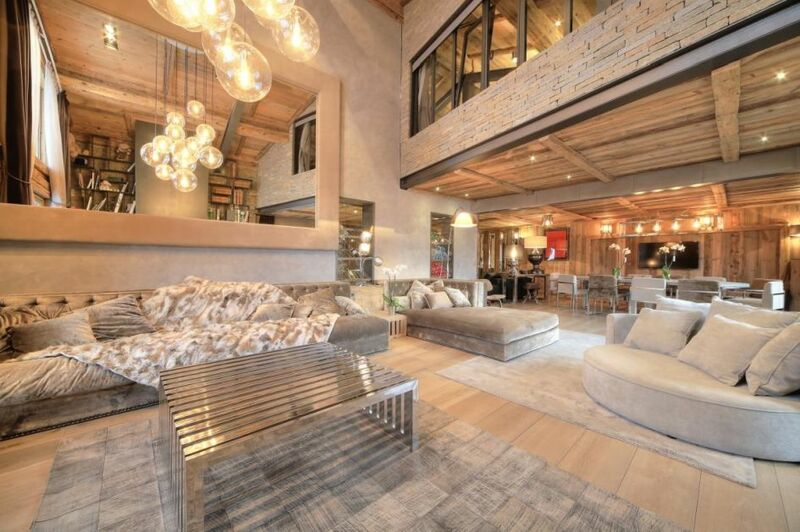 Chalet Du Renne is in the heart of the Megeve village and just a 3-minute walk from the Chamois lift, meaning you can enjoy both the sights and skiing conveniently. Unwind in the outdoor hot tub or by the fireplace after a long day of exploration. 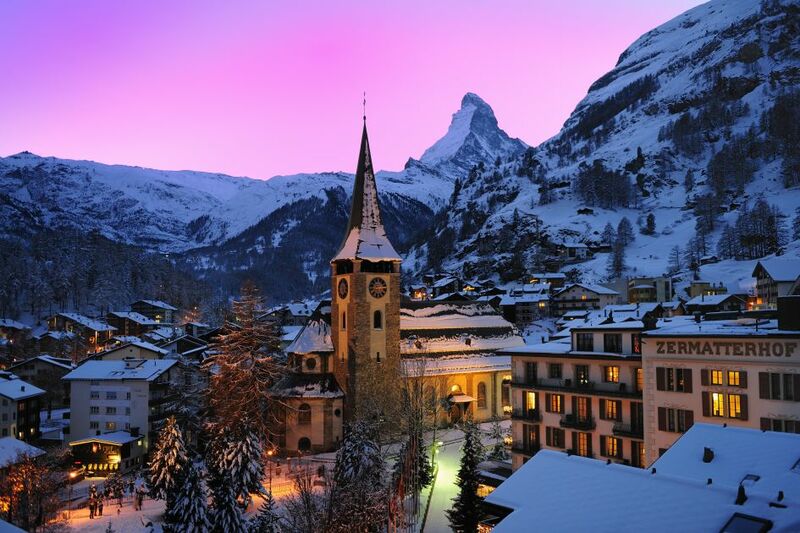 Zermatt is a true Swiss delight. The view of the town with the backdrop of the Matterhorn mountain, is possibly one of the most photographed shots in the Alps. Its cobbled, pedestrianised streets surrounded by tall, snowy peaks make it an unforgettable experience. Ever since the infamous Matterhorn was successfully climbed back in 1865, this cultural ski resort has continued to be a major player in the mountaineering world. The old part of the village known as Hinterdorf, has houses, barns, stores and stables that were built between the 16th and 18th centuries. It will feel like you have gone back in time! Visit the elevated hamlets of Blatten, Findeln, Furi, Herbrigg and Zum See. This was where the farming families of the past grew crops and raised cattle in the summer months. Up there, you will find yourself surrounded by authentically Swiss wooden buildings and rustic restaurants. The Matterhorn Museum documents the history of the area. You can even see the original snapped rope from the first ever ascent! This centrally located property comes with iconic Matterhorn views and is only around a 10-minute stroll to the museum. Authentic wood and the high beamed ceiling is designed to keep tradition in mind. This blog would not be complete without this iconic cultural ski resort receiving a mention. An expedition by two Englishmen named Windham and Pococke in 1741, took them to the Chamonix Valley, where they were met with a rural population of farmers. Accounts of their findings were published in literary journals across Europe and interest in the area with its dramatic scenery began. The first guesthouse is thought to have opened in 1770 and visitor numbers reached around 1,500 each summer towards the end of the century. Europe’s highest mountain which towers over the valley, Mont Blanc, was first scaled in 1786 – the rest is history! Wander the streets of Chamonix Village itself, taking in Baroque churches, protestant chapels and charming Alpine chalets. The Tramway du Mont Blanc is a classic Chamonix experience and one of the last mountain rack-rail trains in France. Learn about the history of the area in the Musee Alpin (Museum of Alpine History). Exhibits of art, traditional costumes, prints and photographs tell the story. Take the famous scenic train ride up to the Mer de Glace (Sea of Ice) on the Montenvers Railway. The glacier is home to a small museum that details the construction of the railway. It also features ancient objects and old prints. Added bonus: hop on a bus to the Aosta Valley on the Italian side of Mont Blanc (Monte Bianco in Italian). Here you can discover a fascinating Roman and medieval past, with ruins, castles and churches. The journey is approximately 1 hour and 30 minutes. 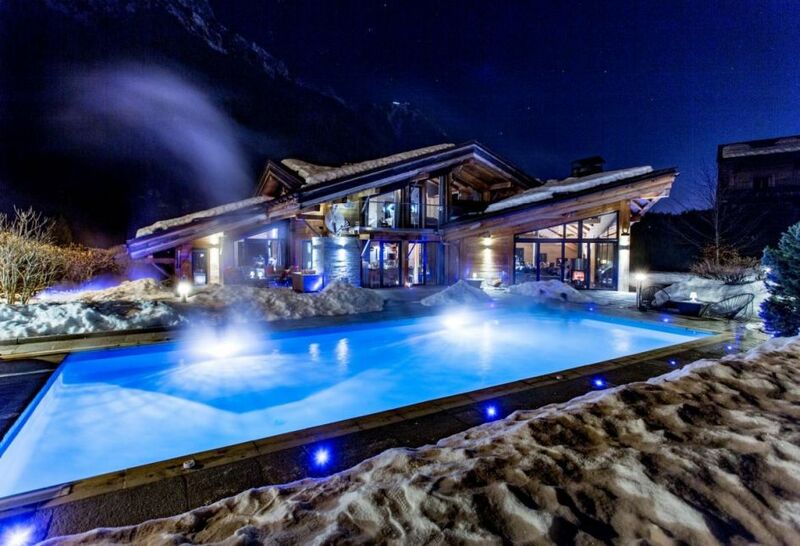 Everything is taken care of for you during a stay at the impressive Chalet Couttet. 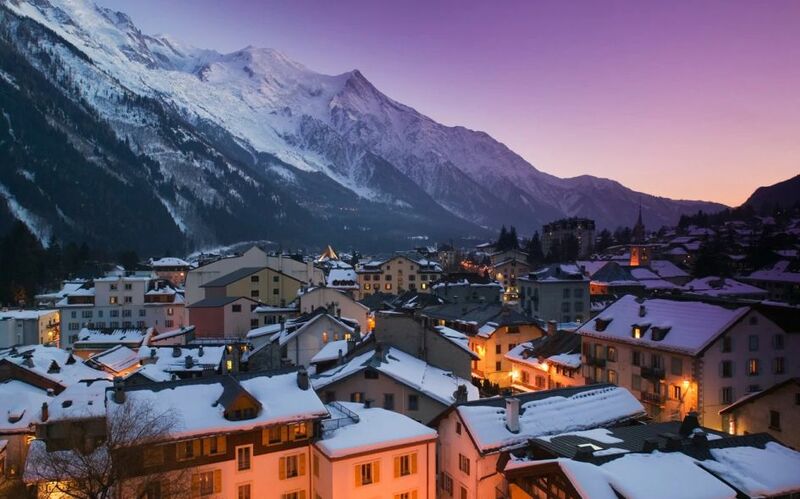 From the meet and greet on arrival, to the private chef serving exquisite cuisine, you can concentrate on immersing yourself in all that the Chamonix Valley has to offer. Guests are spoilt for choice with the abundance of facilities available and the inviting outdoor heated swimming pool takes centre stage. Inspired to visit one of these cultural ski resorts? 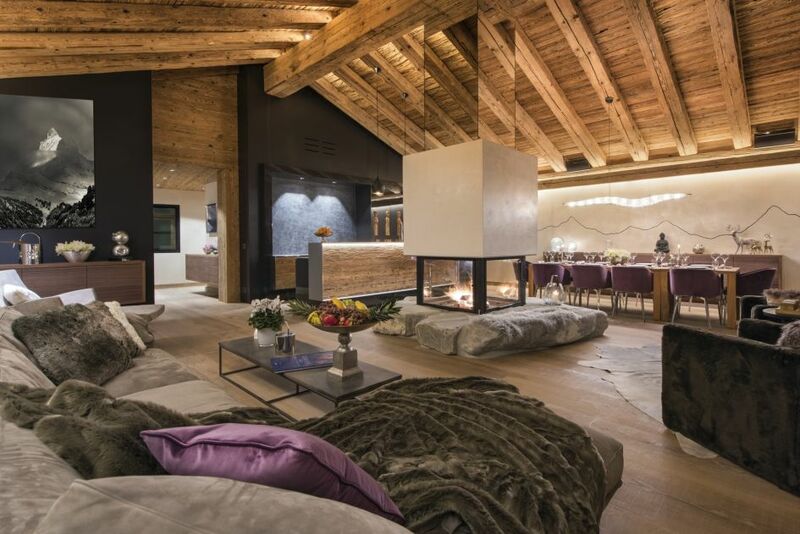 Combine the luxury and authentic with our exclusive properties in Megeve, Zermatt and Chamonix. Give us a call on +44 1202 203653 or send us an email and one of our Ski Specialists will be happy to help you find the perfect chalet for your next ski holiday!